I have to tell you: I feel some type of way about pizza. When I see it on TV, it does something to me, like I'm in love or deep, intense infatuation. I've been known to rewind the DVR to see a pizza cutter crash through a crust or slo-mo the pull of a gooey string of cheese. Yeah. I'm a little obsessed. What's not obsessive is that I usually leave my refrigerated dough options up to the name brand retailers and focus on premium toppings to satisfy my cravings. I don't have to do that any more. Let me introduce you to Wewalka. 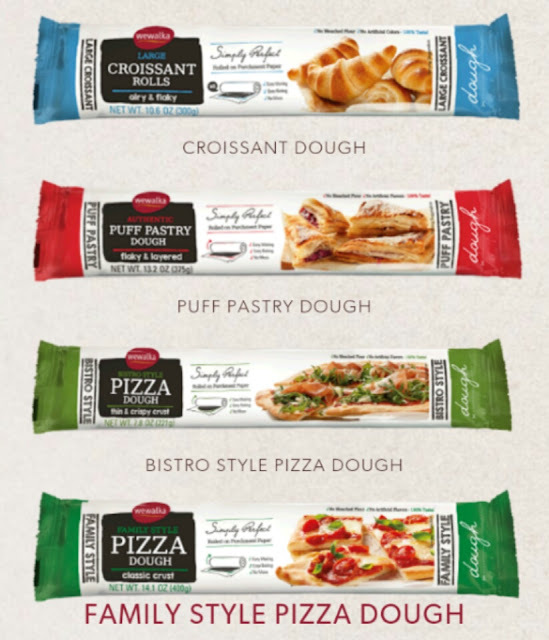 It's a premium refrigerated dough that "combines authentic European bakery quality with improved convenience." I'm not familiar with many refrigerated dough brands. I don't make pizza often because I prefer to make my own dough. And I don't always want to wrestle with yeast, measure flour and wait. And wait. When I was approached about trying out Wewalka, I did a little research and it's a win-win for everyone. 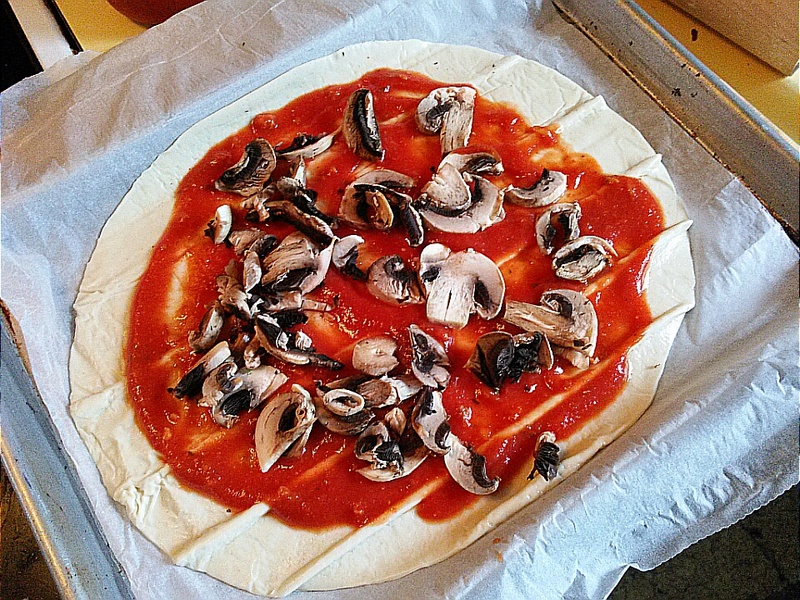 My FAVORITE of the line is the Wewalka Bistro Style Pizza Dough. Thin, easily customizable and in less than 15 minutes, I was eating! Pizza time, pizza time, pizza time! Not only is the dough convenient and ready-to-bake from the fridge, it comes on a piece of parchment paper so you don't need a rolling pin (or a pan, I guess)! Score! Initially, I wasn't thrilled with the impressions left on the dough from when it was rolled up in the package, but as you'll see later, it doesn't really matter. 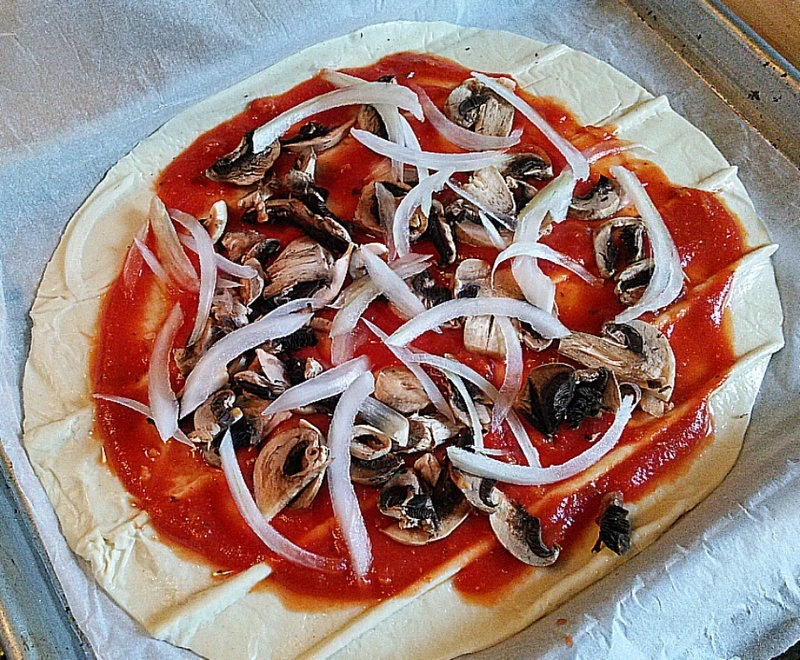 A little store bought sauce, leaving a little room for crust is the way to go. 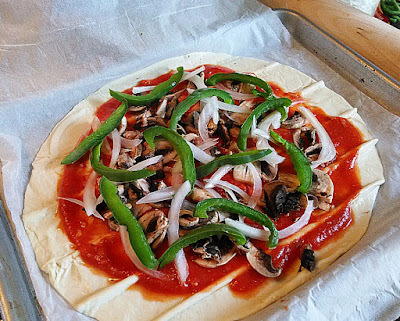 Brush that crust with a little olive oil, sprinkle with salt and pepper to bring out the natural flavors of the dough and help that crust stay crispy, crunchy and delicious. I use a mix of mozzarella, provolone and Parmesan cheese to make sure my cheese game is strong. The Wewalka website is full of recipes for inspiring your next weeknight dinner. Start here for a hearty meatball pizza recipe that will "make you feel some type of way". I've never seen Wewalka before. Looks like there are different types of dough to experiment with! Great idea! Looks like a great easy meal. Wow, that's giving me a craving! Maybe I shouldn't admit this, but we eat a LOT of pizza in my house. I've never seen this brand before (but I don't normally look for refrigerated dough, either). I'll make a point of looking for it in the future. Pizza is one of my dessert island foods... honestly, I could eat it all day, every day and never get tired. 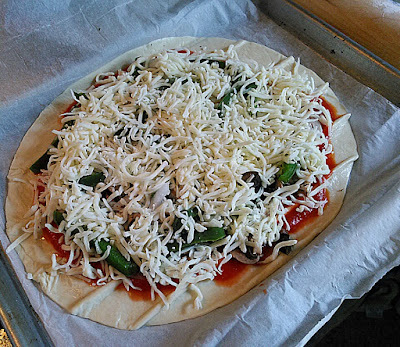 I also prefer to make my own dough, but sometimes a gal just needs her pizza fix right now. I don't think I've seen Wewalka before, but I'll have to keep an eye out next time I'm at the store! Ok so I need to get my hands on this dough! It looks fantastic. 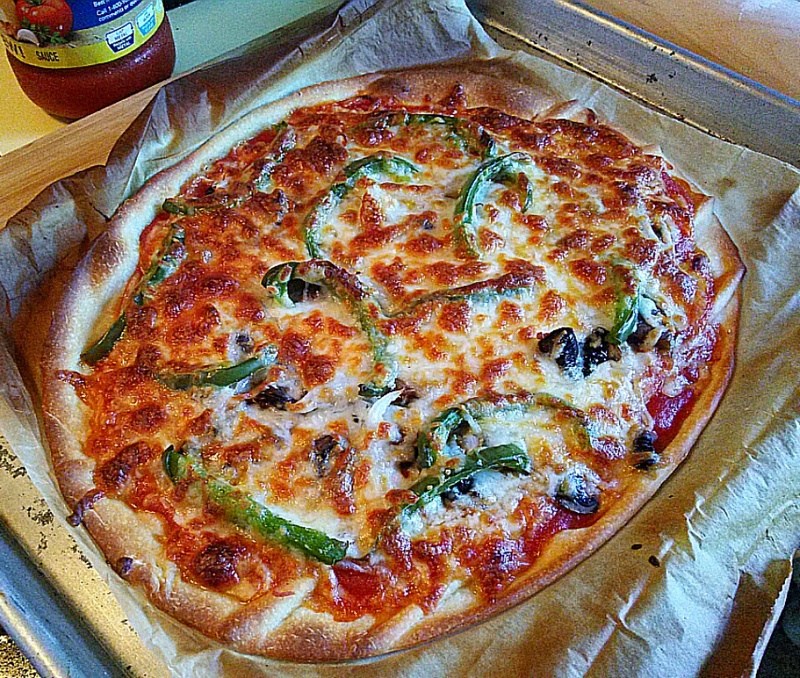 That pizza you made is making me crave pizza like something fierce! This pizza looks better than our take-out pizza places pizza. Guess it's time to find a new take-out place. Love a good pizza especially if it has meatballs! I make pizza every Friday night for my family! I need to try this dough, it looks incredible! I like to make my own crust too, and almost always do. 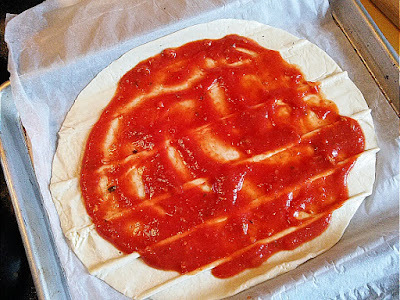 But this crust looks like it could be a really great option for when we really want pizza but just don't have time to make it from scratch. YUM! I saw your video, Nancy! I love putting pizza on the grill. 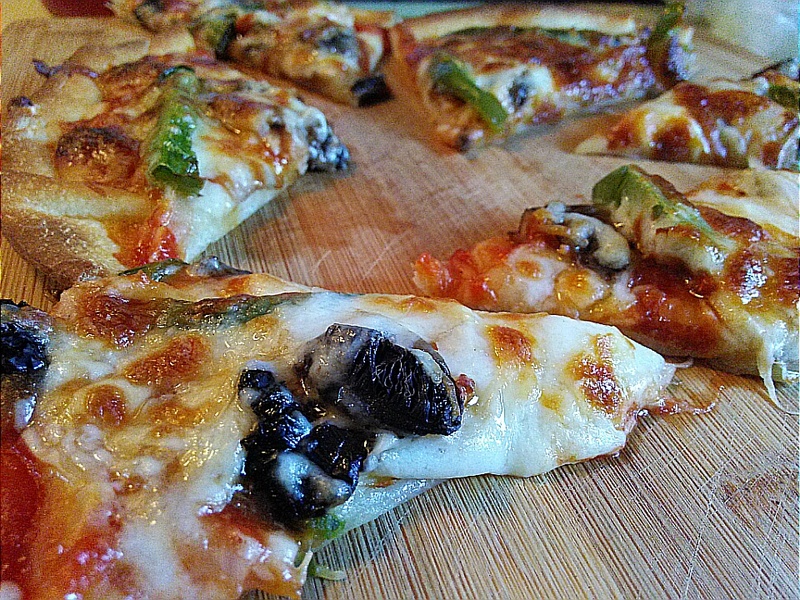 It can be done year round and the smoky flavor of the crust is always a win! I'm trying to learn more knowledge and your articles are so useful for me.Can you continue uploading them frequently? Thank you very much.